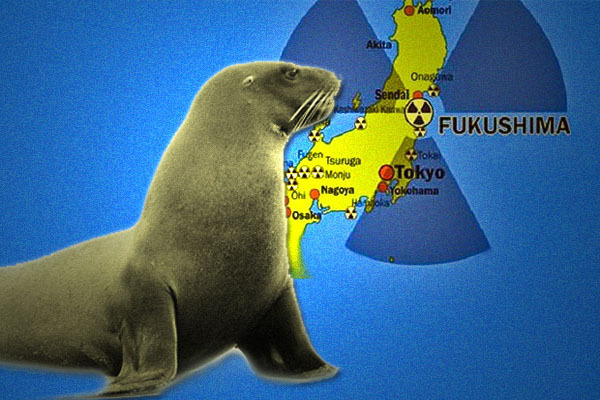 While officials continue to tell us everything is fine, and they essentially act like the Pacific Ocean is a Mr. Clean Magic Eraser for all the radiated water being continuously dumped into it from the crippled Fukushima Daiichi Nuclear Power Plant, we are getting reports of baby seals dying of cancer off the coast of California. Of the 46 weaned baby seals who have died in a San Francisco Bay rescue center this summer, it has been determined that the cause of death in 16 cases has been Disseminated Intravascular Coagulation — a condition that does not just spontaneously occur but is a factor found underlying another condition, things like tumors and blood cancers, but especially acute promyelocytic leukemia. While that number may seem small, it isn’t when you consider that this is just a cross section snippet of what’s actually occurring out in the Pacific Ocean right now. Over a third of these animals are dying of cancer that they should otherwise not even have, and especially not in those numbers. View the full report from BP Earth Watch below.